Grapefruit (Citrus × paradisi) is a citrus fruit that is rich in fiber and bioflavonoids. It also has low calorie. Grapefruit was first cultivated as a hybrid fruit from sweet orange and pomelo in Barbados, West Indies. These days, grapefruits are well cultivated in the United States especially in California, Florida, and other quasi-tropical southern states. They are also cultivated in China. Grapefruits are packed with nutrients such as lycopene, potassium, phosphorus, and other vitamins and minerals. Grapefruits and their juices are highly recommended for those who would like to lose weight. The fact of the matter is that grapefruits increase the body’s metabolism. In fact, grapefruit is so good in this role that you would continue burning sizable quantities of fat even when your body is inactive. Research has found that people who habitually ate one grapefruit each day burned well over 4 pounds of fat in 3 months. This is even when they did not make any further changes to their diets. How is grapefruit adapted for its fat burning role? Grapefruits are high in fiber, enzymes, and water. They are also very low in sodium and calories. This allows them to lower insulin levels. So, instead of converting sugar into fats, they help the body to use the sugar as fuel — which leads to significant losses in weight. The fact that it is rich in fiber and water content leaves people feeling full. Thus, you are likely to eat less and burn more fats. Grapefruit and its juice are effective suppressants of appetite. Grapefruit inhibits the feelings of hunger. This is why it is included in many weight loss programs. Grapefruit suppresses appetite by helping the body to release large amounts of the hormone cholecystokinin. Cholecystokinin, in turn, helps the body to suppress feelings of hunger by regulating the production of digestive juices. Being rich in vitamin C, grapefruit is ideal for supporting and strengthening the immune system. Vitamin C works closely with other micronutrients like vitamins A and B6 to ensure your body maintains healthy levels of disease-fighting ability. 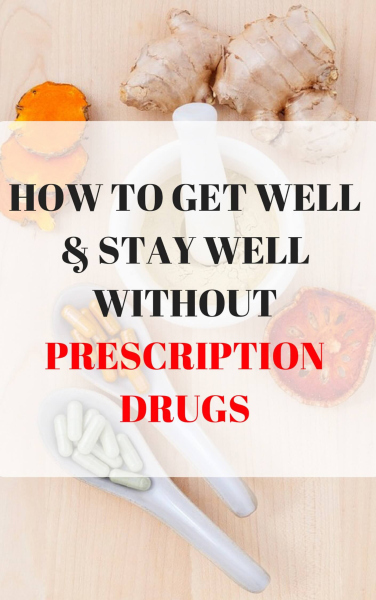 This means that with adequate supplies of vitamin C and the other micronutrients, you would be able to ward off common ailments, and you would recover faster should you fall sick. 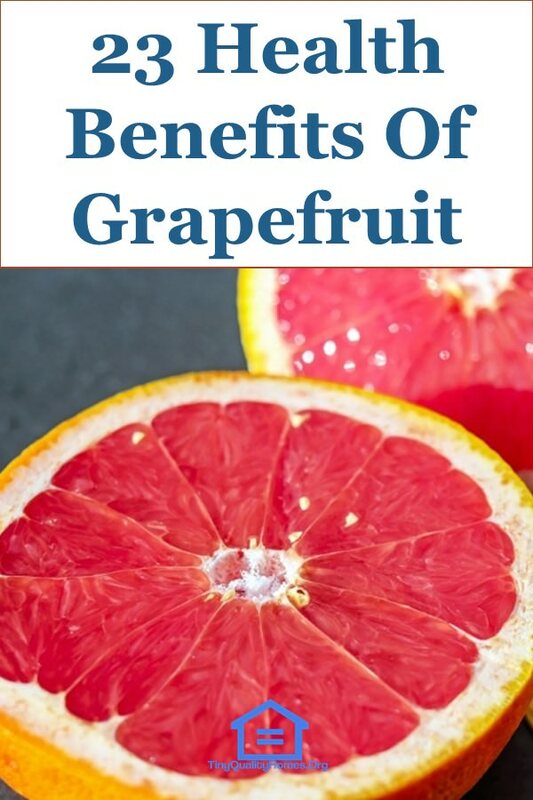 In fact, studies indicate that the severity of a disease is heightened when the body lacks Vitamins C. According to research, as little as half a grapefruit per day is enough to supply you with up to 80% of your daily requirement of vitamin C.
Grapefruit juice creates the right conditions in the intestines for optimal digestion and food absorption. The human body counters the citric acid in the fruit, and through this process, the digestion takes place under very efficient conditions. This means that you are less likely to suffer the effects of acidity even after a heavy meal. What’s more, you would reap more benefits from the food you consume as both the digestion of the food and its absorption are enhanced. A full glass of fresh grapefruit will go a long way in helping you fight constipation, especially when it is taken as part of breakfast. The juice does this by stimulating the entire digestive system. The stomach and intestinal walls, in particular, are stimulated to produce the gastric juices necessary to ease your bowel movement. Doctors often recommend fresh grapefruit juice to patients suffering from constipation. It may be hard to avoid a flu outbreak. However, it is possible to control its intensity and duration by using grapefruit. Grapefruit does this in a couple of ways. First, it contains a flavonoid called naringin. This substance helps to minimize the acid levels in the system, and the body is thus able to hold its own against an influenza attack. Second, grapefruits have powerful antioxidants that have anti-cancer, antifungal, antiviral and antibacterial qualities. These qualities make grapefruit one of the best choices for defense against influenza and other common ailments. One of the most effective defenses against malaria is quinine. Quinine has been used in the tropical, malaria-prone regions of the world with massive success for many years now. Grapefruit contains a quinine-like substance that is effective for reducing malaria symptoms. However, do consult your doctor when taking grapefruit as a remedy for malaria symptoms. The fact that grapefruit juice offers sufficient supplies of vitamin C makes it an ideal remedy for fever and other burning sensations that occur when one is unwell. By and large, doctors recommend that grapefruit juice can be taken when your body has reached unusually high temperatures as a result of one reason or another. What’s more, the large water content that the grapefruit holds will keep you hydrated. It is an easy way to replenish the water needs in your body in case of dehydration. It is important, however, that you seek the advice of your doctor before taking grapefruit if you are on other medication. According to Ann Marie Chiasson, MD, grapefruits are effective healers of wounds. The high content of vitamin C in the fruit makes the body to quickly generate new healthy tissues following an injury or surgery. Furthermore, the fruit helps the body to form new blood vessels. Being a surgeon herself, Chiasson often advises her patients to take about 500mgs of vitamin C before they go into surgery. This, she says, would enable them to recover so much quicker from their wounds. One of the best ways of fighting off fatigue and alleviating your stress levels is by taking grapefruits. Grapefruit juice is both delicious and refreshing. Just the thought of taking a mouthful of the drink can remarkably improve your mood and bolster your energy levels. Grapefruit contains nootkatone, a substance that is known to enhance metabolism, boost energy levels and improve mood. Actually, you do not have to eat the fruit or drink its juice to enjoy its stress bursting qualities. The mere exposure to the smell of the fruit is enough to alleviate worry and reduce anxiety levels. According to a study published in the Japanese Journal of Psychopharmacology in 1995, the fragrance of this citrus fruit produced a calming, stress-busting effect in lab mice. From this study, scientists strongly believe that plants have therapeutic power through fragrance. The grapefruit ranks highly among other plants as one with the ability to cheer, energize and inspire the mind and body. The rich flavonoids in the grapefruit make it one of the best natural carcinogen-fighting plant known to man. The fruit contains pectin, which protects the large intestine against exposure to harmful cancer-causing elements. This means that drinking healthy doses of grapefruit juice daily would keep colon cancer at bay. Grapefruit inhibits cancer cells, helps the body to produce healthy cells of the colon and helps with digestion. All this is good news to people who are predisposed to suffer from cancer of the large intestine. A study that appeared in a 2006 edition of the Journal of Nutritional Biochemistry showed that grapefruits are good for fighting off the effects of cancer of the prostate in men. The fruits have constituents that help repair damaged DNA, and they prevent the cancerous cells from growing further. The study further revealed that the Vitamin C present in grapefruits is good for combating cancers of the esophagus, breast, bladder, and stomach. The eyes remain healthy and function well with a good supply of beta-carotene. Such a healthy supply of beta-carotene can be found in both the red and pink grapefruits. In addition, your eyes would benefit from the high levels of vitamin A, naringin, naringenin, lycopene, lutein and xanthin that are present in grapefruits. All these compounds are good for improved vision and healthy eyes. One grapefruit per day is enough to provide you with adequate supplies of these compounds. Cholesterol (LDL) is dangerous, and people who suffer from cholesterol buildup usually have a myriad of health complications. Doctors are united in the opinion that for you to effectively combat the problem of cholesterol, dietary changes are necessary. This is where grapefruit comes in handy. Research has shown that grapefruits can help you eliminate triglyceride levels up to 17% and cholesterol levels up to 15%. This is in addition to the fact that they would help strengthen your heart and circulatory system. The limonoids and other phytonutrients, in grapefruit, act as cleansing and detoxifying agents for the liver. Additionally, the fruit contains other anti-oxidants that allow the liver to burn fat instead of storing it. Grapefruit and its juice are rich in salicylic acid, which researchers have found to be vital in helping alleviate the effects of arthritis. When taken with apple cider vinegar, the salicylic acid works by helping the body to break down the calcium in the body. Joints do not, therefore, have a buildup of calcium crystals in the cartilage, and arthritis can be thus avoided. The bitter compound, naringenin, found in grapefruits is good for the kidneys. This compound helps the kidneys not to form cysts. It also helps the kidneys to avoid retaining too much fluid, which may lead to kidney inflammation. A liter of grapefruit juice per day is enough to help you avoid kidney stones. A couple of grapefruits per day are enough to help you reverse, or prevent, the effects of gum disease. According to a 2005 edition of the British Dental Surgeon, vitamin C, in the grapefruit, is good for bleeding gums and other conditions of the gum, such as gingivitis and periodontal disease. Being rich in vitamin C, grapefruit and grapefruit juice are good in lessening complications arising from such respiratory problems as asthma, runny nose, coughing, wheezing and shortness of breath. In fact, many patients suffering from these conditions have had a significant reversal after introducing grapefruit in their diets. The hair requires a good supply of vitamins for it to be supple, shiny and generally healthy. Hair that is well nourished with vitamins is strong and will not easily break. Your hair and scalp would also not suffer from dry skin and dandruff. Extracts from the grapefruit are loaded with vitamin C. This is just what your hair needs to remain strong, beautiful and free of harmful bacteria. Vitamin C also improves blood circulation in the scalp, which is good for your hair. Grapefruit is rich in antioxidants, which can be used to nourish your skin. These antioxidants help the skin to withstand the harshness of the environment and UV rays. When applied as a mask, the vitamins A and C in the grapefruit would seep into the skin and help it to produce collagen. Collagen gives the skin its smooth, supple, elastic, and youthful look. Using grapefruit on your skin is, therefore, guaranteed to help you combat the effects of aging and damaged skin. Doctors advise diabetics to regulate their levels of glucose by eating grapefruits. Grapefruits are also good regulators of sugar, and it can thus help sufferers of diabetes to effectively manage their condition. The flavonoids present in grapefruits make it possible for diabetics to enjoy a wide array of health benefits. Grapefruit seed extracts have as numerous benefits as the grapefruit itself. Apart from boosting your immune system and helping you to battle infections, the grapefruit food extract is good for your skin and your hair. It is also loaded with numerous beneficial nutrients. So, what are the best ways to eat your grapefruit? You can make grapefruits part of your daily diet in a number of creative ways. They are good in salads. You can also take them in the form of liquid as grapefruit seed liquid extract. They can also be used to make bread, cakes, and cookies sweeter. Grapefruit juice is also good as an ice-cream topping.